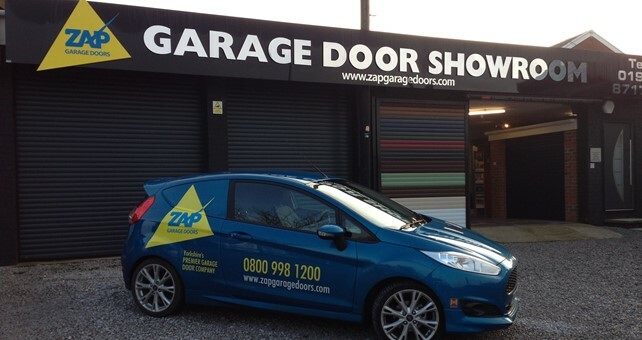 If you’re looking for a Garage Door installation or maybe a repair to your existing one, speak to us today. We can offer assistance with all manner of enquiries, with a customer-focused service that is second to none. All of our technicians receive the highest possible training in order that we can provide you with a number of options for your Garage Doors. The Supramatic operators in conjunction with Hormann Sectional doors have an opening speed that is upto 50% faster, which saves time and decreases the risk of accidents on busy streets. Via your hand transmitter or the optional internal push button (IT3b), you can individually switch the halogen light on and off. With the individually adjustable second opening height, you can ventilate your garage without completely opening the door. Elegant appearance thanks to the brushed aluminium operator cover. "Just a thankyou note for an excellent service. Thankyou to Phil for his pleasant and helpful visit and working out the great estimate for my new garage door. Thankyou to both of the fitters for an excellent job too. Well Done"